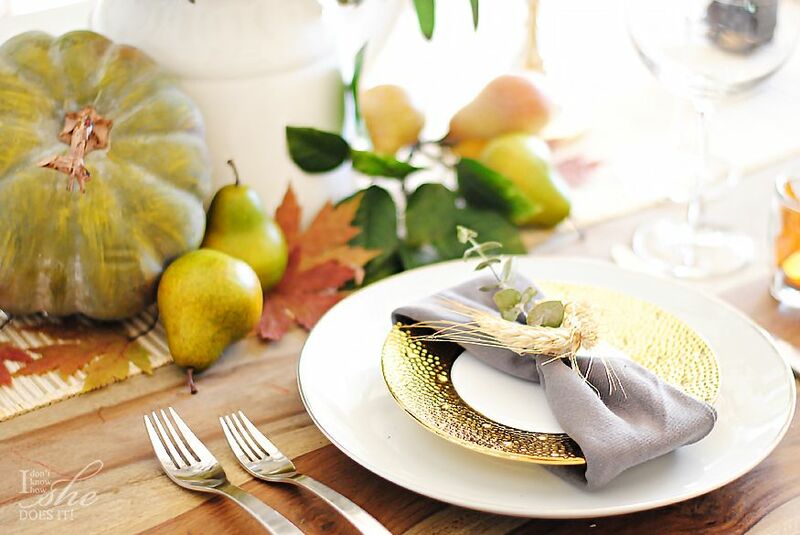 Running last minute errands before the big Thanksgiving dinner can leave you without any time left for decorating. I’ve been there and felt so incomplete! 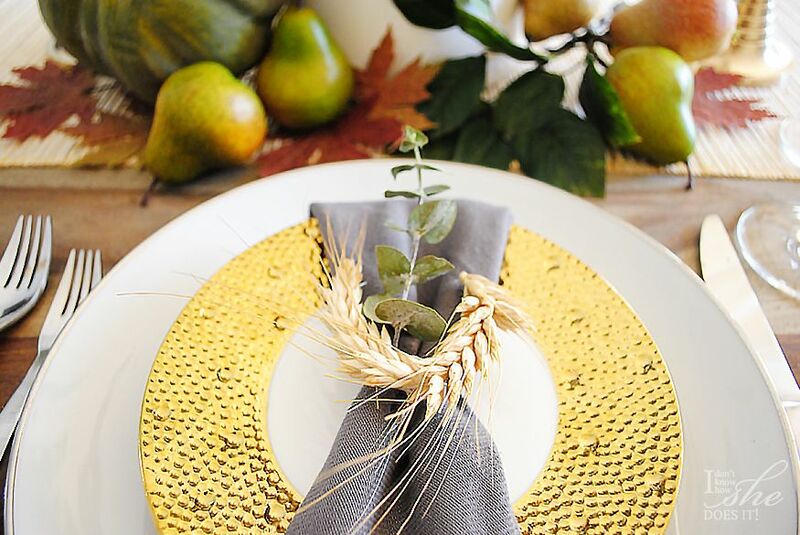 But today I’m sharing two very simple ideas on how to add a bit of pizzazz to your table. Run to your backyard (or to your nearest park) and take small leaves. I had been saving some from last Autumn and they’ve really preserved well their color. Placed them inside a small glass (I’m using some shot glasses from +HomeGoods) and in the middle a tea light candle. 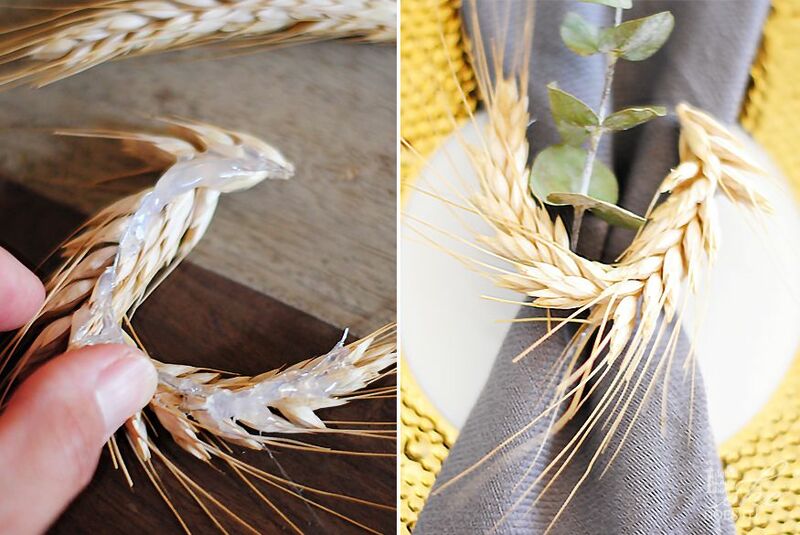 This will add a serene warm look to your dinner table. 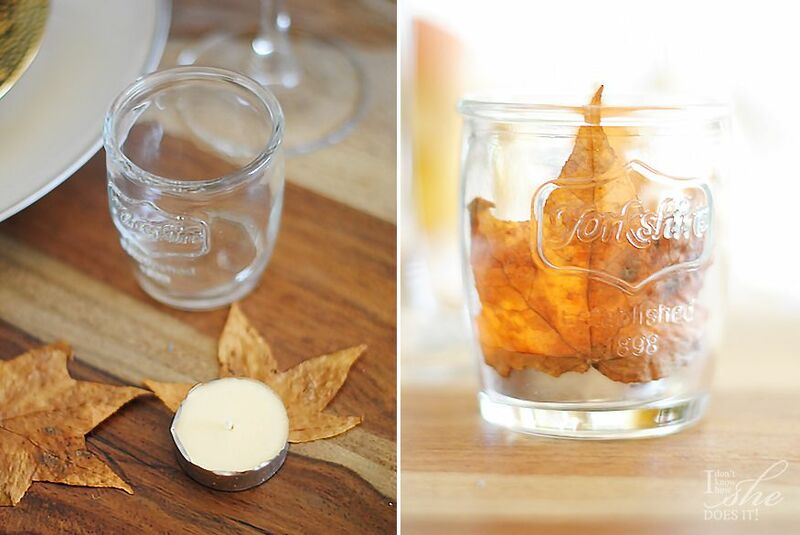 If yo don’t have leaves, you can use coffee beans or even tiny pine cones. 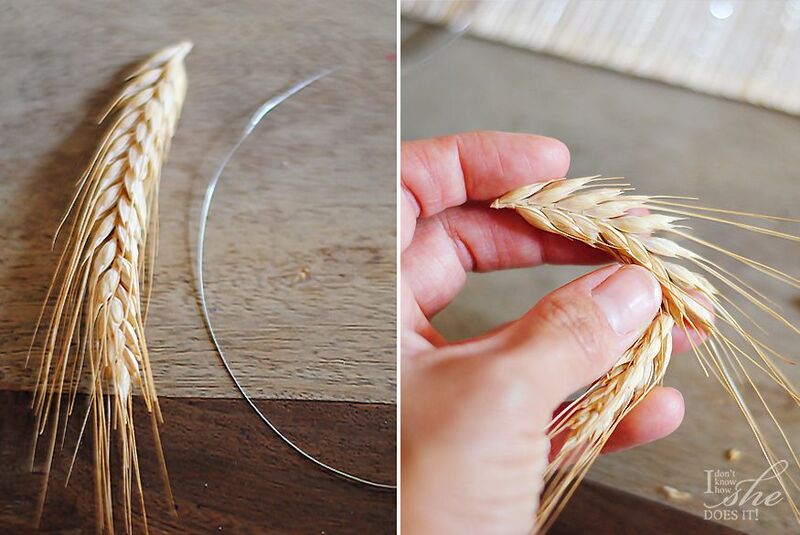 Up next, gather a couple of wheat stalks, cut the steam and using a hot glue gun paste a piece of thin galvanized wire in the back. Before gluing it, try giving the wire a “U” shape. To finish it (and if still with time) you can put a strip of ribbon to cover the side of the glue. This little piece will add an elegant touch to your napkins. 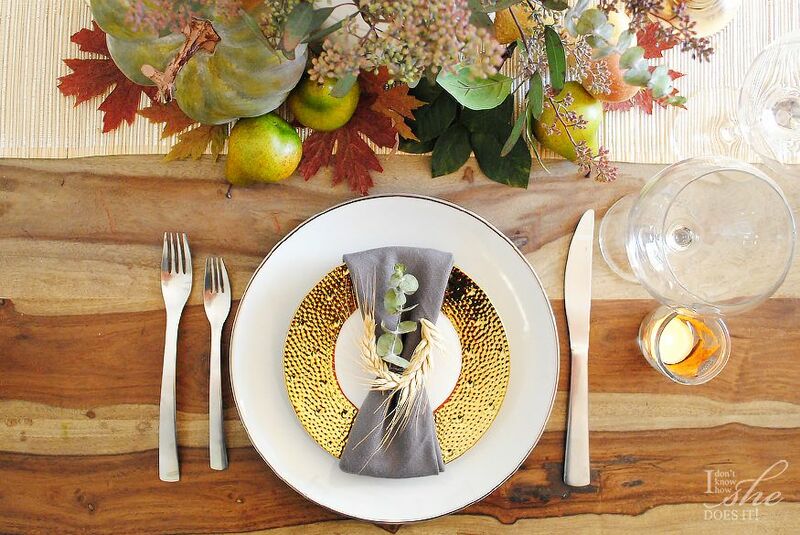 It’s in the small details that you can make your Thanksgiving dinner table a total success. I hope that these simple ideas will help you make that day extra special! Do you have your tricks for adding that special touch to your setting? Share your thoughts with me.